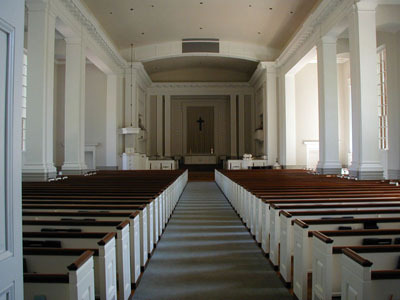 The present-day Sanctuary was completed in 1951, and seats up to 1,200 people. The 11 a.m. Sunday service is held here. Music in the Sanctuary is provided by a 50-year-old organ, which has been rebuilt twice, once in the 1970s and again in 2006 by the Wicks Pipe Organ Company. Information about our organ may be found under the "music" heading of our "Worship and Music" portion of our website. The main entrance to the Sanctuary faces the Davidson College quadrangle adjacent to Main Street (Route 115). You may also enter the Sanctuary from side doors off of Concord Road. Until the 1970s, Davidson College students attended daily services in the Lingle Chapel. The chapel now serves the congregation as a smaller worship space alternative to the sanctuary. The 8:30 and 9:45 a.m. Sunday services, and the Wednesday afternoon intercessory prayer services are held there. The chapel seats 150. The Chapel is home to an Ott organ. To read more information about this organ, click here. The main entrance to the chapel is off of double doors that face Main Street (Route 115). You may also enter from a side door just down from the church offices on the Main Floor. DCPC's Columbarium is a peaceful, comtemplative resting place for members of the DCPC family. 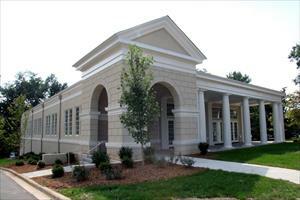 The Columbarium was completed in 2006. 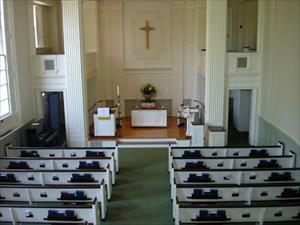 Memorial services can be arranged in the church’s Sanctuary or Lingle Chapel, both of which adjoin the Columbarium. For more information about memorial services at DCPC, contact the church office at (704) 892-5641. To see the complete informational brochure on the Columbarium, click here. Sitting on the site of the fomer Youth House and manse, the Congregation House was completed in 2006 as a result of the With Hearts, Hands and Voices campaign. In addition to having a large kitchen and eating areas, it has multi-purpose rooms that can serve as meeting rooms or classrooms. The lower level is home to the youth lounge and youth Sunday school classrooms. 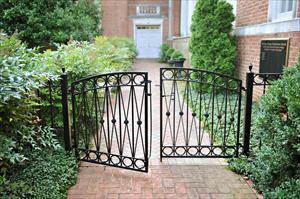 Click here to read an informational brochure regarding facility usage. You may also download an agreeement and fee sheet.